In June 2014, President Obama embarked on his first presidential visit to Indian Country, where he and Mrs. Obama witnessed the tale of two Americas. Standing Rock Reservation, like many others, faces myriad social, economic, and educational problems. 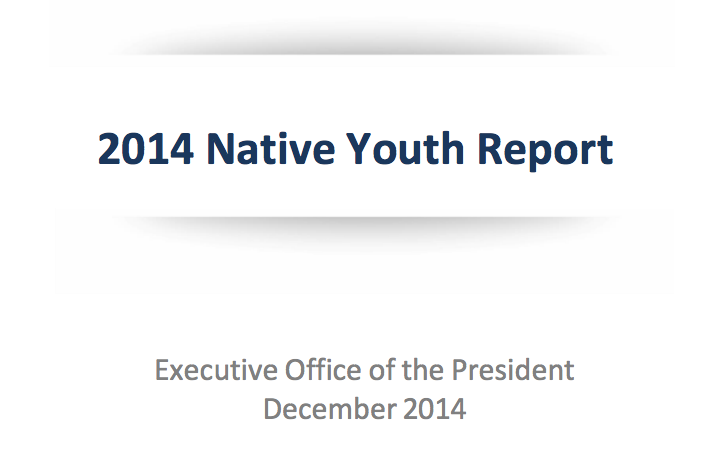 Together, those problems are coalescing into a crisis for our most vulnerable population âˆ’ Native youth. The specific struggles that Native youth face often go unmentioned in our nation’s discussions about America’s children, and that has to change. In their visit to Standing Rock, President and Mrs. Obama met with a group of Native youth, who courageously shared their stories of struggle and triumph. After hearing their stories, President Obama challenged his Administration to do more and do better for the young people of Indian Country.